The road to my spiritual life began when I was a young child growing up in an alcoholic family. But I didn’t start to walk this road until halfway through my life when my daughter fell ill with drug addiction. I was very unhappy growing up. It’s a classic story of family dysfunction that many of us have experienced as children. But back then I didn’t have Alateen to go to. My father was never treated and died prematurely because of his illness. I, too, was untreated for the effects of alcoholism, and grew into an adult child. Many of us know how rocky that road is: low self-esteem, intense self-judgment, inflated sense of responsibility, people pleasing and loss of integrity, and above all, the need to control. I carried all of these defects and more into my role as a mother to my sick daughter, and predictably the situation only got worse. I was a very hard sell on the first three steps of Al-Anon, and my stubbornness made me ill and cost me my teaching career. But once I did let go of my self-reliance, my whole life changed for the better. The Serenity Prayer has been my mantra every day. I’ve learned to let go of what I can’t change. I don’t have the power to free my daughter Angie of her disease, but I can work hard to heal from my own. This is where I’ve focused my work in the program. My daughter has gone up and down on this roller coaster for fifteen years, and right now she’s in a very bad place. But that has only tested me more. My faith grows stronger every day when I release my daughter with love to her higher power, and I am able to firmly trust in mine. Somewhere in my readings, someone wrote “Pain is not in acceptance or surrender; it’s in resistance.” It’s much more painless to just let go and have faith that things are unfolding as they are meant to. There’s a reason why my higher power is running the show the way he is. I just have to get out of the way—because I’m not in charge. I also read somewhere the difference between submission and surrender: submission is: I’ll do this if I get XYZ; surrender, on the other hand, is unconditional acceptance. Well, the latter is easier because I’m not holding my breath waiting for the outcome. I just let go – and have faith. Again, it’s a very conscious choice. We all have different stories. What has blessed me about a spiritual life is that I can always look within myself and find peace regardless of the storms raging around me. This entry was posted in Uncategorized and tagged addict, addiction, battling addiction, detach, Heroin, hope, parent of an addict, recovery. Bookmark the permalink. Thank you for sharing your walk of faith and journey! I attended adult children of alcoholics when I was in college to me better understand what I was experiencing. With my depression, I self medicated with drinking but now have several years of my streak being free from my addiction! Prayers for your daughter and your journey. Thank you, Rick. There is so much shame and stigma around this issue, and I’m so glad the subject of addiction is coming out of the shadows and being talked about. All the best to you as you continue on your journey! This was devastatingly beautiful. 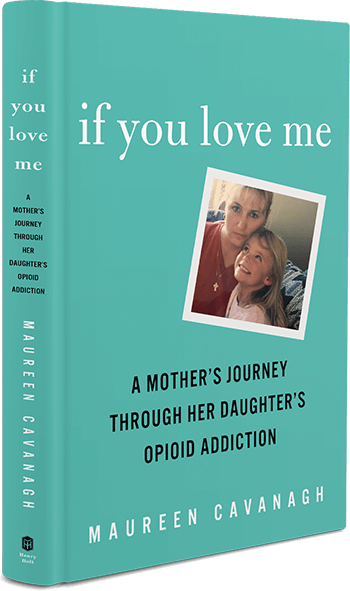 The opioid epidemic has touched my life in so many forms. You are incredibly strong! I am sending positive and healing vibrations to your daughter and to you! That drug is evil. Blessings to you, sister. We are SO not alone.